Real Russians ride in all kinds of weather.//Sestriere ski resort. I will not waste your time describing boring images of Russians squandering money and wearing tawdry outfits on vacations abroad. You have probably already read such tropes a million times. Here I’d like to discuss the not so obvious, but no less true, signs that a tourist is from Russia. By chance this spring I became a part of the annual meeting of the Ski Club of International Journalists (SCIJ). This year’s meetings took place in the town of Sestriere, in the northern Italian region of Piedmont. Here in a former Olympic village about 200 media personalities gathered to relax by skiing and snowboarding. In this motley mix made up of newcomers, established media stars and senior experts of international journalism, the Russian team almost always stood out. We could easily be identified by our sparkling eyes, as well as several other signs. 1. Some vodka "na zdorov'e?" No thanks! Contrary to common belief, Russians (or at least Muscovites) today are not too fond of drinking vodka. Many of my compatriots prefer whiskey or cognac. This trend does not fit well with the foreign community's world view. We saw wonder and even suspicion in the eyes of our journalist colleagues when at the Gastronomic Nations Night Party we treated them to vodka and caviar from Russia, but preferred single malt whiskies from the British table for ourselves. Real Russians ride and swim in all kinds of weather. Gusty winds and early spring storms in the Mediterranean Sea do not prevent Russian tourists from opening the swimming season. Snowfalls that block the roads and slopes are never an obstacle for Russian skiers: most of the volunteers for a freeride tour in Sestriere on the snowiest day were from the Russian team. Russians' craving for bathing in the ocean, while holidaymakers from other countries surround the hotels' pools, no longer surprises anyone. Indeed the myth that every Russian is born a walrus has some basis in fact. A kitchen party is an occasion to discuss any topic ranging from the impact of sanctions on our love for cheese to the influence of virtual reality on the wellbeing of Russia. The flight of fancy is truly limitless here and the degree of understanding is unprecedented. If you happen to find yourself at a kitchen party with Russians and leave with a sense of ease with everyone, then congratulations – you've partaken in the bright side of the Russian national character. Or maybe it's just the effect of wine. In any case, when the next morning your Russian friends from the night before don't greet you do not take offense. It's not about you – it's much more about the dreadful fact that it’s morning. Plus: what happens in the kitchen stays in the kitchen. Russians never give up, honestly. If there is at least a little bit of competition, we will try, and try and try. Bungee jumping off a bridge, although you’ve never been above the 4th floor? Definitely! Scuba diving, although you barely know how to float? Oh yeah! 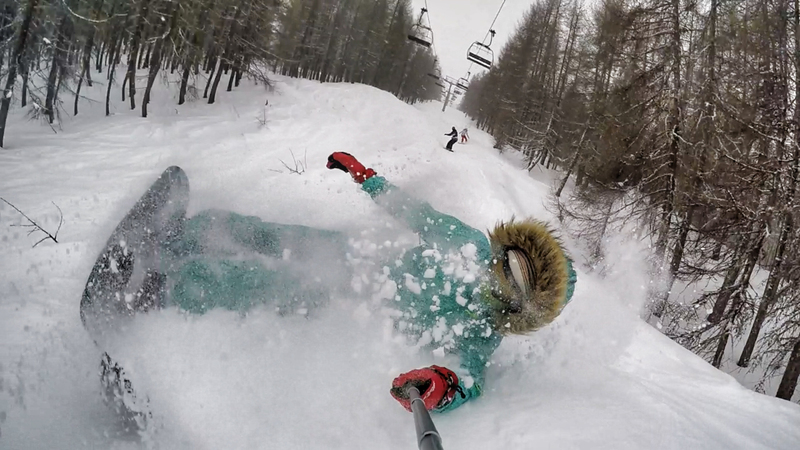 Tumbling down an advanced black Olympic run in Sestriere while barely in control of our skis? Done! Some call it foolishness, but we prefer to use the words courage, mettle and curiosity to describe ourselves. Once joining an adventure, Russians will drink it to the bottom. Our athletes don’t usually take the top places in the giant slalom race at the world championship (as several journalist-skiers did at this year’s Congress in Italy), but we do try. We're definitely all in. And for sure will be in the race until the end of a cross-country challenge, even if we haven't had any practice since our school days. Maybe it's adventurism, or maybe just stubbornness with a strong sense of team spirit. While it’s certainly not heroism, there is something heroic about it. On holiday many Russians transform from their gloomy and reserved selves into hearty and sympathetic altruists. During vacations we are the first to dance to Rihanna's song at the discotheque, the first to sing our favorite Abba songs at the karaoke bar and the first ready to help. Russian hearts melt in the southern sun after a long winter and are filled with love for humanity. We remember how to smile, how to say "hello" to passersby and how to apologize for stepping on others’ feet in the subway. And when we travel we take a piece of this relaxed dolce vita back to Russia. We cherish this feeling, which inevitably slips away and turns into nothing more than a pleasant memory after two weeks back at home…until the next vacation in a new and warm country.